(removing fears, depression, anxiety). Dr. Logan has used these glyphs in her own life, and considers them a first-aide Tool Kit! The purpose of this glyph is to help bring about world peace and harmony through the collective energies of the intention of a group of people. 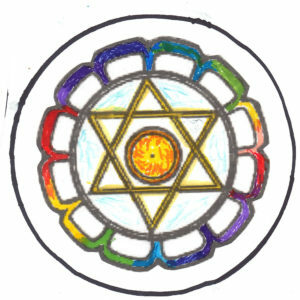 It is given to remind all of theif power as a creator in bringing about the new reality. This glyph can be shared freely and used in a group gathering and hung out where the energy will move out into the world and the universe with the intention of the individual. Experience the healing power of Sacred Glyphs – Spirit-inspired hand-drawings called glyphs, that have the power to heal your life, remove emotional blockages and remember who you truly are. Join Dr. Jean Logan, PhD, and author of Unlocking the Power of Glyphs, and learn how to use nearly 100 sacred symbols to heal your life. This Quantum Conversation reviews Dr. Jean Logan’s latest book on Healing Glyphs. These glyphs are placed on cutout sheets that you can use on your body and in your life to keep free from viruses and bacteria, as well as removing emotional blocks. Jean shares that she was divinely inspired to create these glyphs for her own healing, and Spirit gave her the instructions to do so. She has not only healed her own life and removed long patterns of fear, but she has helped numerous others and was guided to offer these glyphs in a book. Explore the power of Sacred Glyphs! To combat depression and fear in her own life, Dr. Jean Logan began connecting to Source energy to channel a series of glyphs (hand drawn pictures) that she used to not only heal herself but also others on physical and emotional levels. “All my life I have been troubled with depression and fear. I was sure that removing these disabling energies was an important step on my path. Using myself as a guinea pig, I found that the glyphs easily and effectively began removing more and more of the emotional burdens I had been carrying,” says Jean. “Being very sensitive to energy, I could feel the glyphs working. I could feel the sensation of something being drawn out of the body.” Glyphs work on a quantum level, communicating a language of light- spiritual energy – to your hologram. Jean is the author of three books, one being “Unlocking the Power of Glyphs” (included with the Online Healing Retreat) which contains glyphs that can: resolve any bacterial or viral illness; remove any heavy metal or other toxic matter from the body; remove fear, resentment, anger, sadness and more from the cellular memory; rapidly heal damaged tissue and bones; repair damaged nerves; remove things blocking your abundance; help remove negative entities; help remove karma and more. Being a highly sensitive soul can, at times, feel like an incredible burden. The sensitive soul can experience the world as busy, loud, and overwhelming. This can lead to anxiety and depression. Yet, the sensitive soul has an incredible gift to offer this world once sensitivities are embraced and the empathic and psychic skills are honed. Being sensitive does not mean that there is anything wrong with you. Being sensitive means that your sensory system is actually more dynamic and advanced than the average person. In this interview you will learn what it means to be sensitive, psychic, and empathic. You will gain confidence in yourself and clarity about your life’s purpose.